A Pratt Institute School of Information course (LIS-664-01) preparing information professionals through technical literacy with a focus on programming and metadata. To the right are student projects. Before photography there was drawing. Scientists and artists around the world first used illustrations to depict natural flora and fauna for study. Some of these scientific illustrations are so detailed that they can still be recognized as the species today (Biological Illustration, 2016). The study of Mollusks has always interested me. I have been collecting shells since I can remember. Recently the American Museum of Natural History has been putting on exhibits of scientific drawings from their rare book collection. This has peaked my interest in these amazing drawings for their scientific history and for their unbelievable detail. If the AMNH has these treasures in their collection, I would love to know what other institutions have as well. 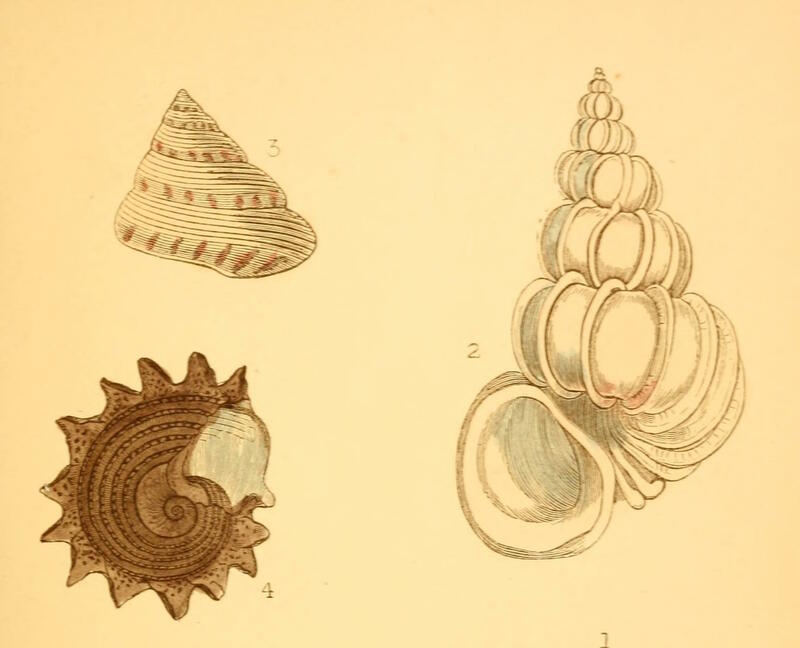 Using the Biodiversity Heritage Library website and API I scraped natural history illustrations of mollusks. The Biodiversity Heritage Library is a consortium of natural history libraries and institutions that want to make biodiversity information freely available. “The BHL has digitized millions of pages of taxonomic literature, representing over 100,000 titles and over 170,000 volumes”(BHL, 2016). Using their API I was able to gather together just some of the illustrations they have of mollusks. I searched for the phylum Mollusca, then downloaded the CSV available on the site. Using python I parsed the CSV for just the titles of each text, then with the API guide I was able to narrow down the individual page information to just obtain pages with the type listed as “Illustration.” I downloaded thousands of images, and picked just some of the beautiful illustrations of mollusks. 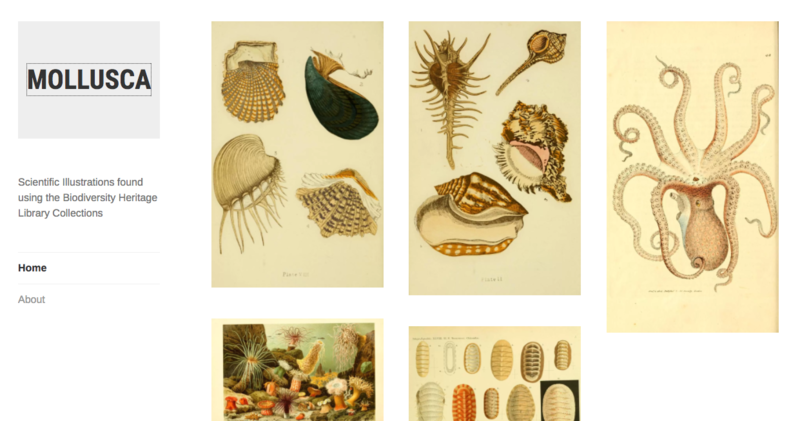 I organized the site by classes of Mollusca based on scientific classification, and added some beautiful illustrations of mollusks in their habitats. The caption of each illustration is the link to the actual page of text on the BHL website.